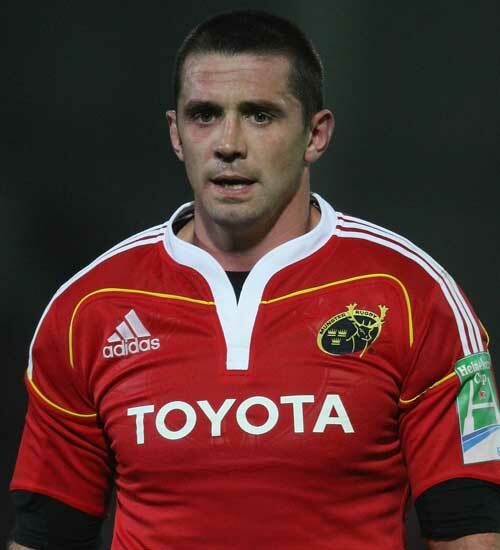 Munster backrow Alan Quinlan will be out for "several weeks" after the club confirmed that he dislocated an elbow against Connacht. Munster came from behind to beat Connacht 16-12 on Monday in the Magners League clash in Galway to cement their place at the top of the standings, but the loss of the 36-year-old will be a blow for the Irish side. They are already without fellow backrower James Coughlan, who cracked a cheekbone against the Ospreys in the Heineken Cup. And both players are expected to miss the must-win Heineken Cup clash with Toulon on Sunday, December 16. However, skipper Paul O'Connell will be back for the match-up after he has served his four-week suspension for striking Ospreys No.8 Jonathan Thomas in the Heineken Cup game.